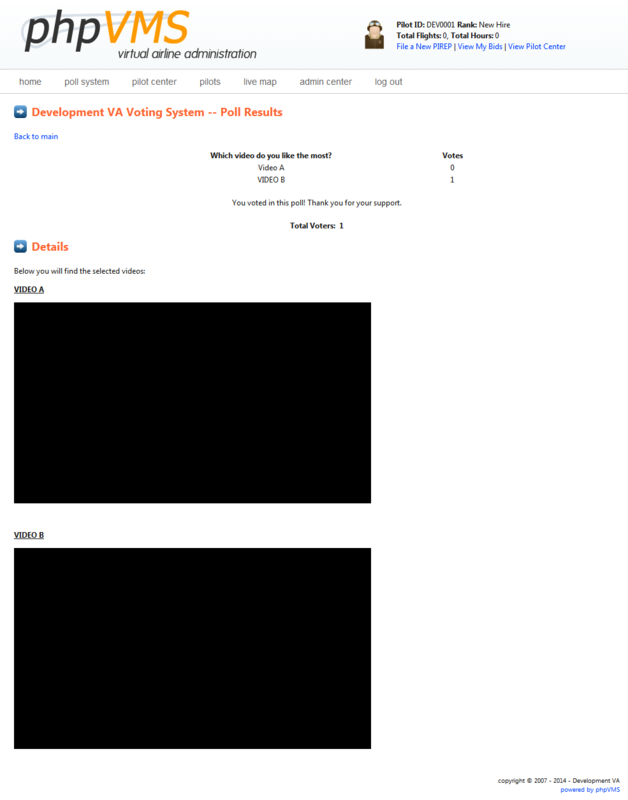 Pilot Poll System Module has been developed by PHP-Mods. 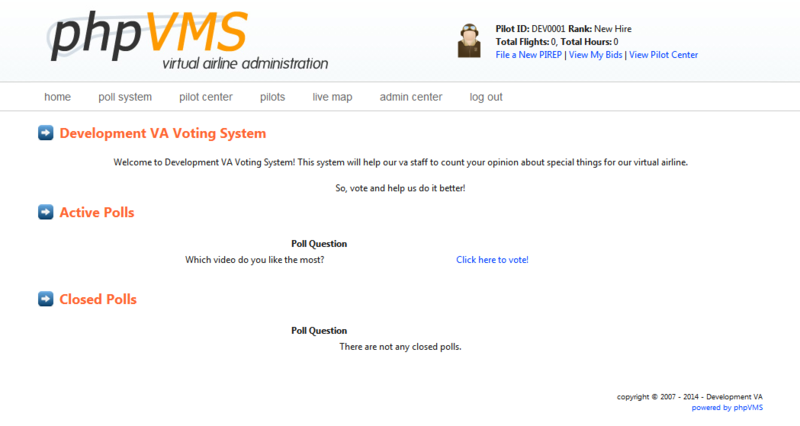 Using this module, gives you the chance to create polls on your phpVMS website in order to let your pilots express their opinion about something which has to do with your virtual airline or anything else. Add as many options as you want in each poll. Give your pilots the chance to express their opinion. Poll results can be either public or hidden from your pilots. Unzip the PollSystem File you downloaded from our system. 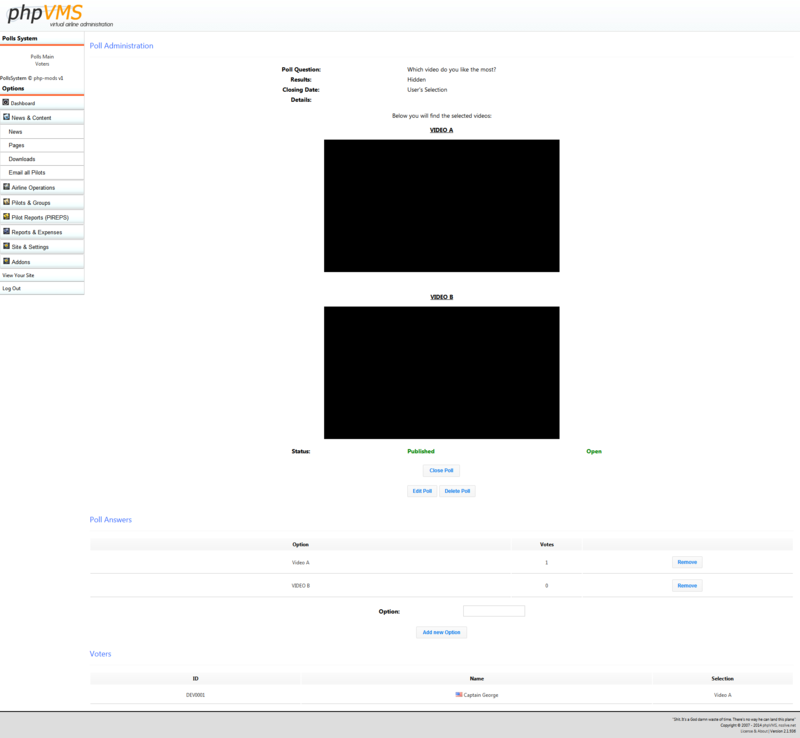 Go to www.yourdomain.com/PollsInstallSql in order to run the PollsInstallSql folder. This will install all the database tables. After installation is completed, do not forget to delete the PollsInstallSql folder from your server.